Master Provisions will host MPower Lunch Thursday, Nov. 9 at the Airport Marriott Hotel in Hebron. Master Provisions connects resources to needs. 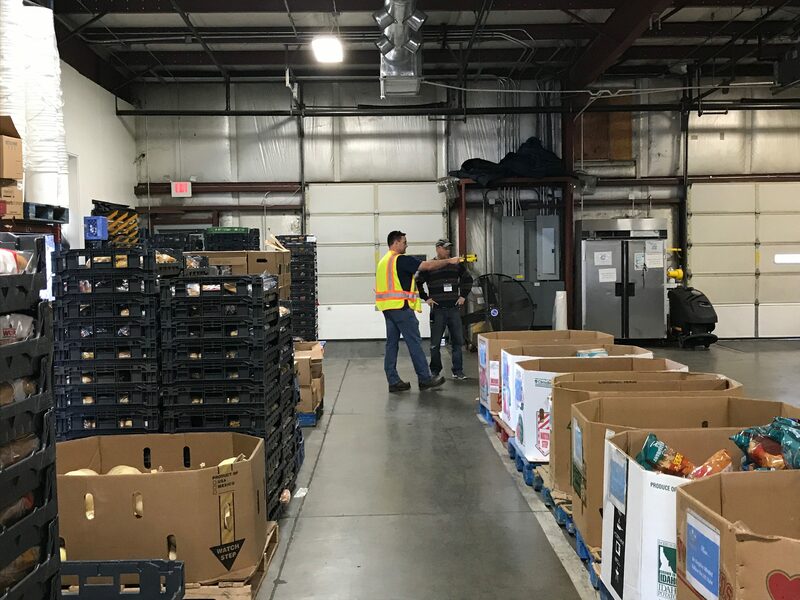 In the Northern Kentucky region last year, those resources included 3.2 million pounds of food distributed to agencies who feed the hungry or through monthly mobile food pantries in Ludlow and Covington. Master Provisions also distributes clothing and shoes locally and internationally, and ships resources to international partners to help people become self-sustaining. The lunch begins at noon and ends by 1:30 p.m., offering guests a fast-paced, inspirational event that showcases how Master Provisions impacts the lives of people living in crisis. Chuck Mingo, Oakley Campus Pastor at Crossroads Church is the guest speaker. Liz Bonis, health care reporter at Local 12 News will serve as emcee and David Armstrong, President of Thomas More College will provide remarks. Presenting sponsors of the lunch are St. Elizabeth Healthcare, MarkCo Plumbing and Honor Design Pros. 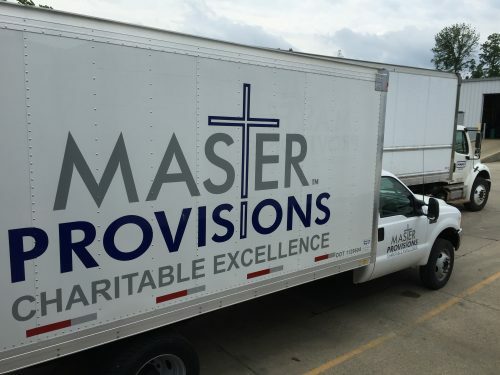 On the last Saturday of every month, Master Provisions provides food and logistics for two mobile food pantries, at Ludlow Vets and St. Elizabeth Healthcare’s Covington Campus. The two pantries serve about 750 families each month, and the last Saturday of the month is chosen because that’s when the need is the greatest. When you multiply that number out, about 35,000 people will be touched by that local outreach through the various ministries that Master Provisions serves. On Thursday and Friday before the event, large groups of volunteers gather at Master Provisions in Florence to prepare for the mobile pantries. Pat Moeves, cooler manager for Master Provisions said things get really hectic in preparation for the end-of- month program. 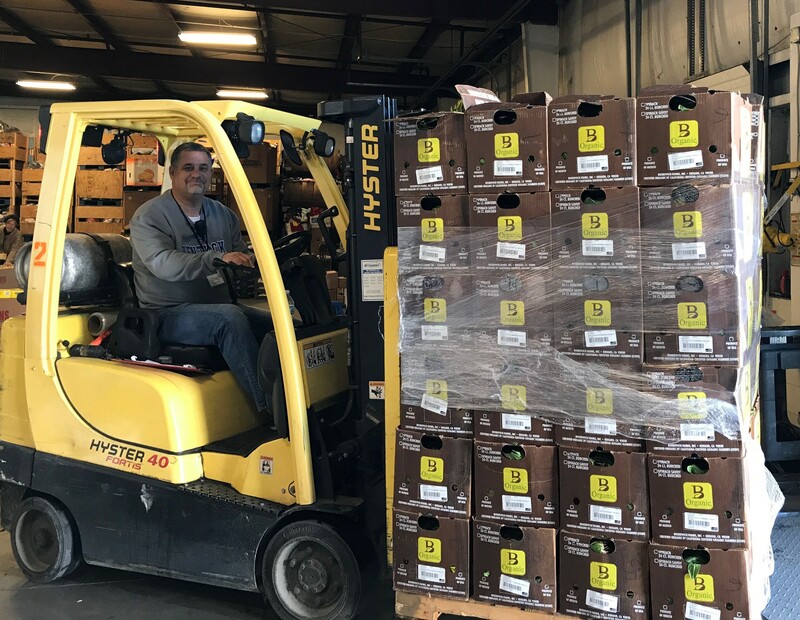 John Eldridge, left, director of operations/community outreach and cooler manager Pat Moeves coordinate preparation for deliveries to the Master Provisions mobile pantries. Master Provisions also tries to ensure that items such as produce, which has a limited shelf life, are not wasted. Several times a week, cattle or pig farmers pick up items that haven’t been distributed to families or organizations. At this time of year, with the holidays and cold weather approaching there is also an emphasis on providing other items. “We want to make sure the kids are going to have the other attributes, such as socks and coats,” Moeves said. 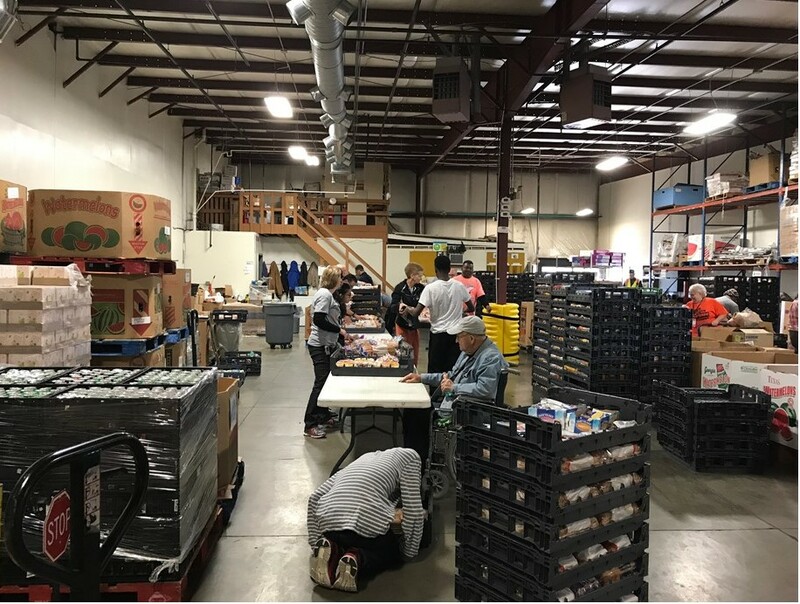 In addition to the community volunteers, special needs students from Larry A. Ryle High School in Boone County also participate in mobile food pantry preparation, as part of their life-skills learning. John Eldridge, director of operations and local outreach, said the vision of Master Provisions is that its work is not complete until every physical and spiritual need is fulfilled. That mission might include food, clothing, or providing a space for other agencies Master Provisions works with to help them achieve their mission. Eldridge said volunteers are the life’s blood of Master Provisions and they come from all walks of life. Jackie Tuckerman, of Union, has been volunteering with Master Provisions for about a year. When agencies come to Master Provisions for supplies, they are allowed to select the items that most closely match the needs of the people they serve, instead of just being given random supplies. The items are placed on a scale, which allows Master Provisions to track the amount of donations received and being distributed to each organization. The event goal of MPower Lunch is $150,000 and all are invited. There is no ticket price; guests are asked to donate as they feel led to give. Master Provisions recruits financial sponsors whose gifts support the care of former orphans in their home country and culture. Currently, 200 former orphans in Ukraine and Togo now reside in Christian homes through these efforts. It also sponsors short-term mission trips to work alongside its partner agencies overseas. Since its outreach started, Master Provisions has made 10 million pounds of food available to more than 200 non-profit agencies. This is the fourth annual MPower Lunch which has grown every year. RSVP to kasey@masterprovisions.org. Those not able to attend may make a secure online donation and learn more about the organization at masterprovisions.org.